We gathered in the studio here at NPR just moments after they finished their Tiny Desk Concert to talk about the music they love and listen to. In this conversation with these three talented songwriters, they talk about how they inspire one another and give each other confidence. Baker: I hate those articles—this is a pet peeve of mine—like move over X, here’s the new Y. And it’s just like, X didn’t become obsolete because there’s a person doing a similar thing. You also don’t have to be like the new old-thing, you’re just the current you-thing. 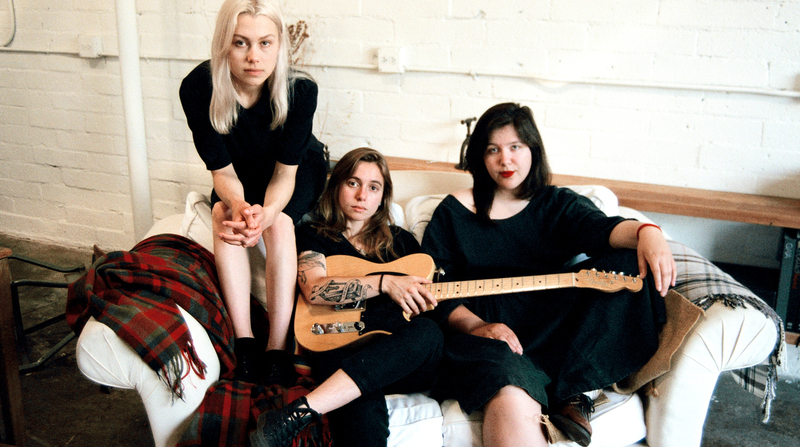 Boygenius’s “Tiny Desk” concert is now up for your viewing pleasure. Boygenius performed “Me & My Dog” on Seth Meyers last night.